Folks here in Florida are no strangers to extreme weather events that can — and do — take their toll on our homes. This is why it is so crucial to both take great care of our roofs and to ensure that we’re working with the best professionals for any and all repairs. 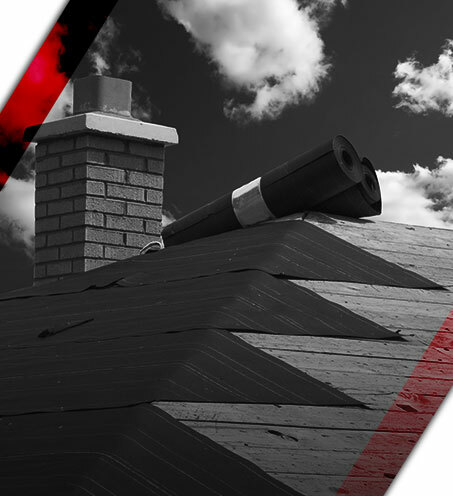 You will find on this page some of our hard-earned wisdom for roof repair and maintenance. Be sure to contact J. Adams Roofing for Hurricane Strong assistance in South Jacksonville today! We like to think of roof repair and roof maintenance like peanut butter and jelly: they work best together. The key to the best roof repairs is to minimize the need for them in the first place. However, when they do come around — and they will — it makes all the difference in the world to have trained, high-quality professionals doing those repairs. Before those repairs are needed, though, you can limit their scope and prevent the need for full roof replacement by doing standard roof maintenance. There are a variety of small-scale, standard pieces of roof maintenance that are vital for the long-term care of your home. These can include roof leaks, dark spots, blistering of paint on interior or exterior, or general wind and hail damage. Replacing damaged tiles or shingles, for example, might be needed if you notice some sections are hanging loose or crumbling; perhaps you have wood shingles and they are splintering or curling. In any case, it’s likely time to get some of these individual tiles or panels replaced. Another example of a minor repair is sealing leaks. The tiles might not need full replacement if they have easily-repairable cracks or holes. These can be filled in a number of ways, including plastic roofing cement. There are, of course, many other common roofing problems to watch out for. Click here for more information on these common roofing problems. Whatever minor roofing repairs you may need, J. Adams Roofing is here to help. A major takeaway for home maintenance — and this applies to everything, including roofs — is that it’s better to be on the lookout for potential problems and get ahead of it before it turns into something major (and majorly expensive). In the same way that a doctor will recommend preventative health measures, we want to prescribe preventative home maintenance. We would all prefer for things to never develop into a problem in the first place! Whatever the case may be, that roof needs regular love and care because it is serving an essential function for our homes and our well-being. Roofs may appear sturdy and long-lasting (and they should be), but it’s important not to just assume this is the case. For the sake of your home’s longevity and your own safety, contact the professionals at J. Adams Roofing and let us keep your house a home.